I am an experienced speaker on data and information issues and have spoken at conferences and events throughout the UK, Europe and the Middle East. I am adept at presenting technical concepts to non-technical audiences and have gained a reputation as an engaging and informative speaker. I regularly speak about the challenges presented by data in the twenty-first century and about the capabilities that organisations need to develop in order to meet those challenges. 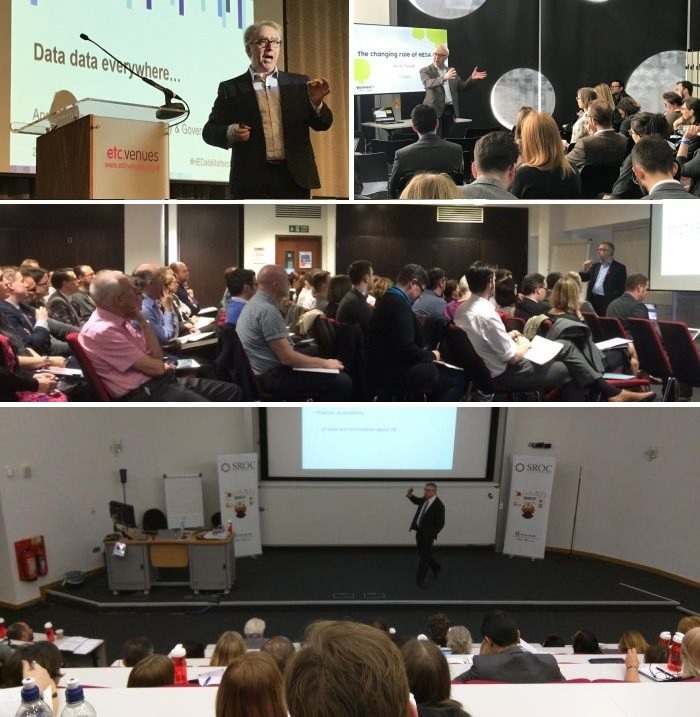 I can draw on a wealth of experience and anecdotes from over 30 years of working with data at all levels in organisations and across the UK higher education sector. In addition to standard conference speaking situations I have worked extensively in smaller workshop-style settings, presented through interpreters to non-English speaking audiences, delivered webinars and corporate videos, presented to Parliamentary committees and have done some after-dinner speaking. If you would like to discuss a speaking engagement, please get in touch. Click here for standard biography text and hi-res head shots. Barnstorming outtro to the #HEDataMatters17 event from @AndyYouell. Go forth and be data unicorns! Bring yr institutions glittering prizes! An excellent final session with @AndyYouell at #sroc17. Fun, informative and encouraging.